English Homework Help - Just a click away! Additional advanced English Homework Help or Literature Homework Help available by request! If you need help with writing essays, completing assignments or understanding grammar, schedule a session with one of our tutors today! eAgeTutor is a premium online tutoring service. eAge English Homework Help is the academically responsible way for students to get homework help. We ensure that students learn the concepts and methods homework is meant to teach and provide additional course support to ensure students master what they learn in school. This translates to better results come test time and improved performance on report cards. Online English Homework Help- How does it work ? 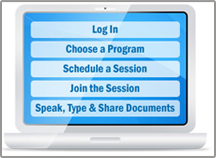 Then, you schedule a session through the eAge Student Portal. Simply log in at the scheduled time to meet with your tutor. Online English Homework Help- Why eAge Online Tutoring? We care for our student's, our English online tutors work one-on-one with a single student. You can be assured you have 100% of our tutor's attention. eAge Homework Help ensures students master what they need to learn no quick fixes or simply providing answers. Instead, our tutors are ethical, educational professionals invested in students' long-term success. Get online English tutoring, English homework tutoring anytime. If you would like assistance with any courses that are not currently listed here, including those that involve complex English concepts, do not hesitate to write to us or call an eAge Academic Counselor. We can pair you with a knowledgeable, certified professional tutor who will be able to help you achieve your academic goals. Are you struggling to help your child/children with getting English homework help? Is pronoun antecedent error something you only vaguely remember? For many of us, it has been a long time since we sat behind a desk. In today's challenging academic environment, Grammar homework help or Literature homework help is simply not something every parent can provide. However, there is a convenient and affordable answer to this challenge: eAge English Homework Help Tutoring.